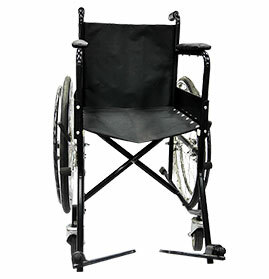 As the name suggests, the Wheelchair is a chair on wheels. 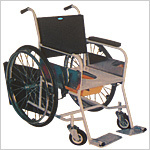 Thus it is a movable chair fitted with wheels. 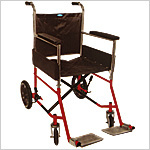 It is used by an aged, sick or disabled person who cannot walk. It is propelled either by the occupant himself or pushed by an attendant. 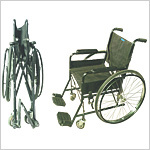 Wheelchairs are mainly of two types: Manually Propelled and Power Driven. 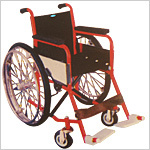 GPC Medical Limited, the internationally reputed manufacturers & exporters of quality hospital equipment, devices and instruments have an impressive range of Rehabilitation Aids including Wheel Chairs, having different features for meeting individual and specific requirements. 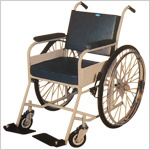 We produce a range of Wheel Chairs, both folding and non-folding, with and without commode, manually propelled and power operated. All these chairs are fabricated, using high grade raw material. 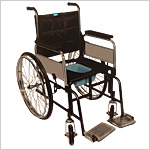 Backed by a team of highly qualified, experienced and dedicated professionals and workers, it is ensured that the GPC Wheelchair, as a finished product, is lightweight, easy to maneuver, safe, comfortable, in short it is user friendly as also durable. 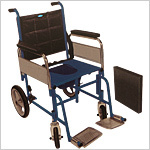 We can customise the Wheelchair and its different components including seat dimensions, height, seat angle, footrest, castors, backrest and controls. Equally useful for indoor and outdoor purposes, our Wheelchairs, in big quantities, are regularly exported to many different countries from one end to the other of the world. 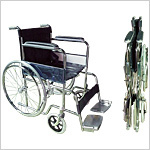 Send Your Buy Requirement For "Wheelchairs" AND Get Quote Quickly.